I’ve finally worked through most of the Ready-to-Wear shows for Fall 2016, pinning directional looks along the way. HECTIC is the word I’d use to describe most of the fashion coming down the runway because outfits were maximal in the extreme. Glance at the Gucci, Prada, Sacai, Chanel and Marc Jacobs shows and you’ll see what I mean. My hunch is that designers were inspired by over the top Fashion Week street style, which often combines many items in one outfit, in very unexpected and mismatched combinations. There was quite a lot of fashion coming down the runway that I did not like, which is unusual. That said, I’m pleased to see that Maximalism is the fashion direction for a while because we need a change from the Minimalism trend. Or at least, I do. My favourite collections were J. Crew, Michael Kors, Akris, Jil Sander Navy, Bally, Emporio Armani, Elie Tahari, Eudon Choi, Alice & Olivia and Rachel Comey. Models were wearing it all, plus the kitchen sink. There was lots of belting at the waist and midsection tailoring. Sneakers, sporty garment detailing, and relaxed athleisure vibes were scarce (a huge change to what came down the runway four years ago). And most shows showcased some form of extended sleeve, which varied from wearable to laughable. Maximalism means wearing it all together to create a harmonized whole. Remix patterns, textures, colours and silhouettes, because the only limit to the aesthetic is your own tolerance for the combination. Pair unexpected silhouettes and fashion personas. Pile on accessories, dress in layers, and don’t forget dramatic nail polish, rainbow hair, and make-up. Maximalism runs on a continuum, and you’re free to interpret it as fully as you see on the catwalks, or tone things down considerably to create a minimally maximal look. Maybe you’d prefer something in-between — it’s all good. Jeans and trousers in just about any silhouette, fabric, colour and pattern are trendy — as long as they are cropped two to four inches above the ankle and worn with complementary footwear. Pink, from the palest blush to the richest shocking pink and fuchsia are happening. 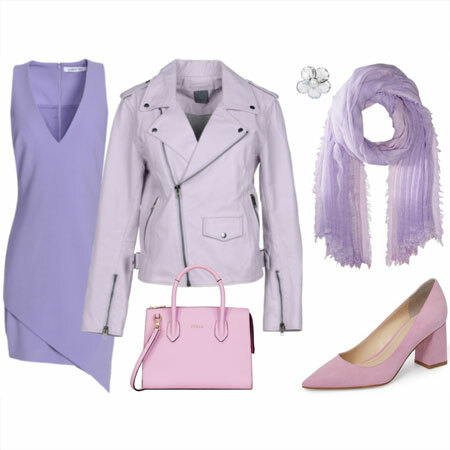 Make pink a neutral and combine it with any colour if your tolerance for colour matching is high. Pink and yellow is particularly strong. It was brilliant to see this trend gain momentum. Bring back the tailoring, I say, because oversized slouch has reached its peak. Showcase your waistline by wearing belted tops and toppers and tailored pieces. Think fit-and-flare frocks and high rises on jeans and pants. Tuck fluid tops into pencil skirts. 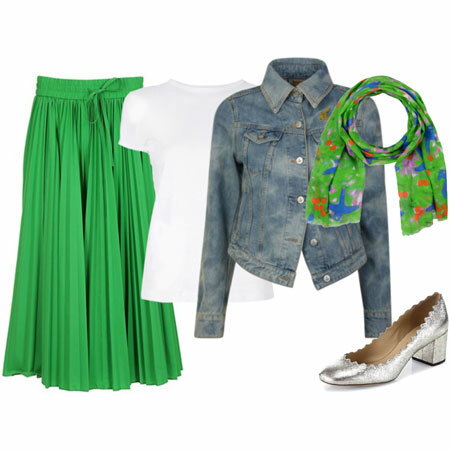 The higher rises on jeans, pants and skirts are all about defining the waist when tops are tucked or semi-tucked. Head to toe black with LOTS of texture and garment interest is strong. Interpret this trend in a maximal way for a fresh approach. For example, remix black wool, faux fur, lace, brocade and leather in one outfit. The glam, boho and disco style sensibilities of the sensational ‘70s know no bounds. 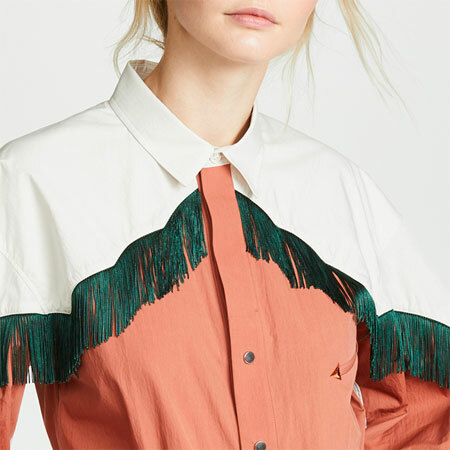 Think full-length flared jeans and trousers, flounces, ruffles, bowed blouses, T-necks layered under dresses and tops, fringe, suede anything, leather trench coats, midi skirts and dresses, wrap tops and dresses, bell sleeves, and half-shoulder silhouettes. Think of any type of checked pattern — from gingham and houndstooth to tartan and glen plaid — and sport it in your favourite coat silhouette. Dark blue military coats are always in style, but they’re making quite the fashion statement this time round. You can’t go wrong buying a classic dark blue military coat or peacoat. Ever. Sleeves that extend beyond the wrist to cover the palm of the hand but expose the fingers are happening across both dressy and casual dress codes. Sleeves that extend to cover the hand in true street style fashion are for the more adventurous. Remember that you can turn back cuffs and scrunch sleeves for full hand exposure. There’s a trouser suit revival that’s quite fabulous, and could come in handy for work or over the dressier holiday season. Many of the suits are pinstriped, but trouser suiting in all colours and fabrications is fab. Fancy puffer coats — an oxymoron, right there — are making a statement in all sorts of silhouettes, colours and lengths. Lots of models were wearing them over dressy attire. This was the only sporty item that was not scarce on the runways. Wearing sandals with socks is an acquired taste, and I’ll leave it at that. Most runway collections showcased a short or long shearling topper in a neutral, and combined it with both dressy and casual outfits. Fuzzy is fabulous. ANY type of faux fur jacket, coat or vest is trendy at the moment. Think any colour and silhouette in a solid or pattern. Retro Mary Janes — some worn with socks — have made a charming comeback. Heeled, flat, dressy or casual, it’s all good. Sleeves that flare out into a balloon and taper back onto the forearm are making an architectural statement on tops, jackets and coats. Think patchwork denim, released hemlines, and raw edges across cropped and full-length silhouettes. All washes are fab — from light and highly distressed, to raw and dark. Think platform boots, booties, Mary Janes, oxfords, sandals and loafers with rounded square toe boxes. Or leave off the platform part and do the toe box. Oversized and fluid fits are still going strong, but they are no longer the most trendy fit. Tailoring is definitely gaining momentum, and I couldn’t be happier about that! Along with the scarcity of Sporty Luxe and Athleisure on the catwalks, there were also far fewer skinnies. Jeans and trousers were wider, and body-con took a backseat too. That said, these trends may have disappeared from the catwalks, but retailers will keep them alive because YOU will buy them. Designers can fight to change the status quo till the cows come home, but retailers will hold strong if they know that a less trendy silhouette will make a profit. Filter through the trends. Keep the ones that tickle your fancy on your radar and leave the rest. Don’t stop rocking your signature looks, but also try something new. The “personal” in personal style means styling the trends your way, which is the best part in all of this. Feel refreshed and empowered as the new season unfolds. And last, here are a few catwalk looks from J.Crew for Fall & Winter 2016 that I thought were beautiful. I might not want to wear them, but I love looking at them. I agree. Hectic is the word. As someone that typically dresses every simply, these ensembles gave me a headache. Still there were many elements that I loved: pink, trouser suiting, ink blue, and waist definition. I always look forward to your trend reports Angie and this one is no exception. Off to study these more carefully to see how I can adapt them to my wardrobe! This should be a very fun season! I have magpie tendencies and love maximal, Renaissance, plaid, mary janes, faux fur … the list goes on! 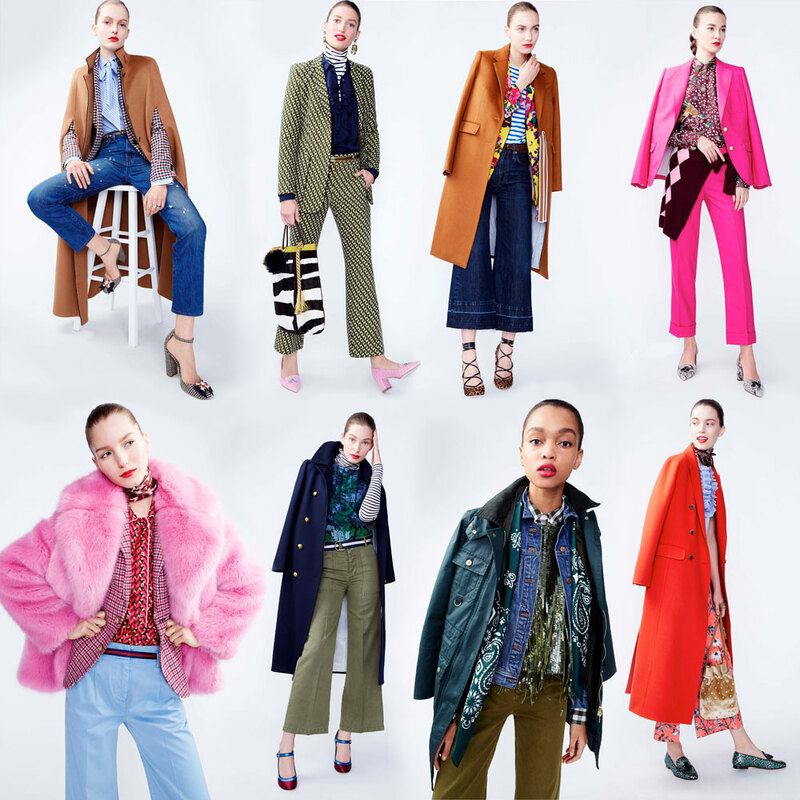 Also, the Jcrew images are total eye candy, loving the colors/textures! Thank you for report, Angie, I’m always looking forward to them! It must be *a lot* of work to destill and put everything together! Do you feel there is a tide shift in fashion now? I feel there hasn’t been much really new during the last years. Thank you Angie for all your work. I look forward to these reports. It will take me awhile to absorb it all. I do like the sound of waist definition and sharp shoulders. I never liked oversized on me so I have been patiently waiting for tailored fits to come back. And I always loved sharp shoulders. Yeah! Hectic it is! I was having trouble putting my finger on a term for what I was seeing featured in magazines and online. I don’t really do bling, but I LOVE luxe fabrics, so I hope the Renaissance items won’t be too hard to source. Sounds like a comfortable shoe year too. I agree with the term ‘hectic.’ I’ll pass – especially on the linebacker look. Oh, I LOVED the J. Crew ready-to-wear collection. Maximal, yes — but for me, the tailoring helps to rein that in and it’s all so playful and joyous. The trends that most tickle my own fancy from this list are: Cropped pants. PINK! Waist definition. Renaissance. Sensational 70s. Plaid coats (must find one!) Military ink blue (ditto!) Trouser suiting (goes with 70s, I think). Mary Janes — I tend to find them a bit “girlish” but if I can find the right interpretation (like your gorgeous ones from Japan) I will LEAP on them because they’re one pump style I can actually keep on my foot. What you say about retailers and the relationship to design is so interesting. For years I felt they were “pushing” ankle pants at us and lots of people were buying, but for my climate, they were ridiculous. 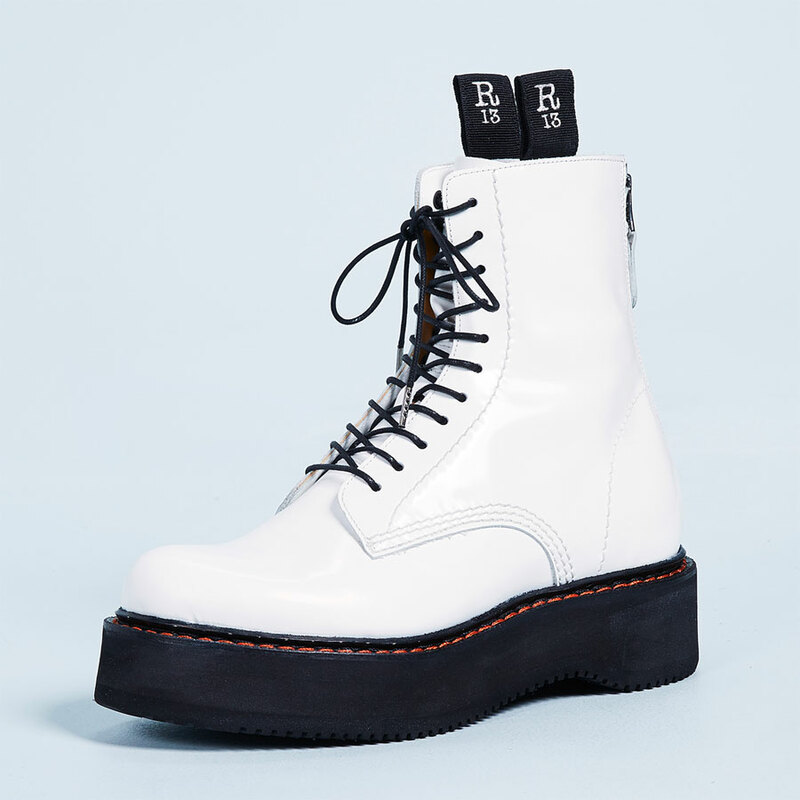 Then last fall (or maybe the previous spring) footwear designers seemed to catch up with the trend and retailers finally began carrying shoes that work better with cropped pants in a variety of climates — ankle straps, sandal booties, and booties with higher shafts for colder weather. This is the only thing that has really allowed me to embrace a trend that I was keen on from the start. Coming back to note that the models in the J. Crew spread have tightly pinned back hair that is very sleek. These clothes would look quite different worn with maximal hair (think Farrah Fawcett 70s or big hair 80s). Thank you so much for the summary Angie, it has been eagerly awaited! I have looked through a good number of shows, though by no means all, and Alice & Olivia, J. Crew and Elie Tahari stood out for me too. I really loved Elie Tahari, the dark romance in all black with pretty textures and touch of my favorite eggplant was divine. They showed an eggplant military coat that is stuff dreams are made of. 1. Maximalism: as already mentioned, it will be fun if not too crazy over the top. 2. Cropped pants – I am fully embracing this with my recent jean hacking adventures, and will shorten a bunch of non-denim pants, too. My min priority is to ensure I have to right footwear, that is mostly booties to wear it all of them. 3. Pink – love it, it suits me, and hope to wear it a lot in all its shades, just need to stay way from warm undertones. 6. Gothic romance – since I like black, I will try playing with various textures. 7. Sharp shoulders – meh, I can skip this one, not my cup of tea. 8. Sensational 70’s – have been happily wearing this for couple of seasons and plan to continue doing so. 9. Plaid coats – I love them but I don’t have one, and I doubt one is in a budget this season. I will console myself by wearing plaid in other items:pants skirts, tops and jackets, that I already own. 10. Military ink blue – I have a lovely ink peacoat I will continue to wear, as well as a longer older double-breasted coat. 11.Extended sleeves – I will stick to milder versions and subtle bell sleeves. 12. Trouser suits – I have two interesting older pinstripe pantsuits that i will try to wear more of, most likely as separates since my lifestyle is too casual for a full suit. 13. High fashion puffer coats – I love puffers and can’t see why not to wear them over evening wear too. All of mine are quite mainstream, the most interesting one is the newest Soia&Kyo from last season made of micro-patterned wool. 14. Socks & Sandals – perfectly happy to stay away from this. 15. 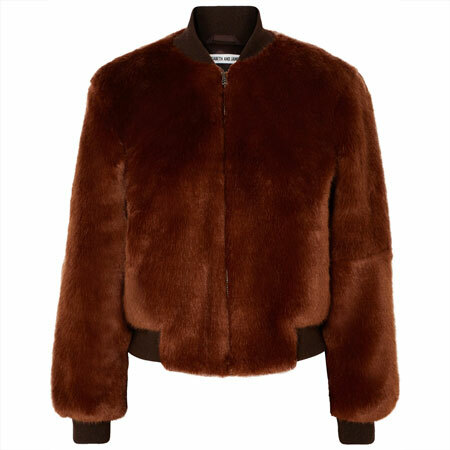 Shearling – I do not have any, but wouldn’t mine a faux piece. I like either vests or longer coats, short jackets do not make much sense to me considering the thickness, though they do look beautiful. 16. Faux fur toppers – do not have any either, but would like some. Might experiment with some more affordable piece. 17.Mary Janes – I don’t have any at the moment, but a burgundy pair would be fab. 18. Reconstructed denim – all up for it, especially the released and raw hems after my hacking adventure. 19. Platform&round square toes- I have a pair of burgundy suede rounded square toe booties I love. A pair of oxfords with a mild platform that is higher in the back would be fun, but probably not in the budget. 20. Roomy fits – I will keep wearing what I have but won’t be getting anything new since I much prefer tailored. I will keep wearing all my skinnies as they are far too practical not to, and try to style them with current footwear and tops, in updated colors too. I also plan to keep wearing my dramatic flares, weather and foot health permitting. And I will be stalking that gorgeous J. Crew ink coat from the last row, though it does not make much sense considering I already got a fantastic new black coat. You’re right, it does look like fashion week streetstyle. Thanks Angie! I can see some great options to freshen my wardrobe in your list, and it shouldn’t be difficult. I love Pink, Waist definition, Trouser Suits, Puffer Coats, Mary Janes, Platforms and Round Square Toes! I love all sorts of shoes. I’m so happy that 70’s glam is still in play because I had an idea of using my solid color wrap dresses over the top of a printed sleeveless sheath dress, and vice verse (i.e. Print over solid) Kind of like a cardigan. I have wrap sweaters so why not? Its a form of maximalism right? Wide belts are my favorite. A HEWI. I only have one that I love right now and have been searching for another. Hopefully waist definition means there will be more options available soon. My all time favorite silhouette is a fluid silk top tucked into a pencil skirt. Waist definition at its finest. I’m not ready to give up my sleek body con sheath dresses, or my skinny jeans. I will find ways to freshen them up. Clearly my best looks have been those with simple clean lines, so fussy maximal outfits will be un-natural and clash with my personality. Minimal maximalism is going to be my way. Accessories and a few key pieces should do the trick. That pink faux fur coat wouldn’t hurt!! Thanks for the list Angie, and for all the work it took to compile it. So much to love here. A big Yay from me for Maximalism, as well as for just about everything else on this list — minus the mary janes, socks & sandals. I am going to be having a lot of fun this season. Well, it is a lot. Which hopefully translates into more options and ways to make fashion work for everyone. Thanks for the thorough summary, Angie. I am going to need to get more serious about my quest for above the ankle booties with a narrower shaft if non-ankle pants are scarce. It’s cold here. I tired of much of the sporty luxe look quite awhile ago, but the sneakers are staying as needed. My feet have spoken. Needs more thought, but there’s likely to be 2017 light in my closet. Come to think of it, that may be what happens for most of us in years where there is a larger shift. It takes time for the eyes, the closet and the wallet to re-calibrate and to decide what to incorporate. I know YLF will be very helpful with it all. I have to say that I feel quite excited about quite a few of the trends and examples you’ve shown. I doubt I’d ever end up really maximal, but my eclectic taste buds feel rather tickled! Textures, plaid, cropped pants…yum! Yay to Renaissance and Gothic Romance especially. Also to the 70’s, plaid coats (my early 80’s college years) and ink military coats. It all sounds pretty fun. I’m not a fan of most of these for myself, but it’s fun to see new things. Sometimes it’s kind of a relief to see a bunch of things trending that I’m not interested in (pink, maximalism, Mary Janes) because I can pass them right by. And some things that I already can do easily (Renaissance, gothic romance). I do love some rich patterns in jewel tones, and those lovely fabrics like velvet. I have two OLD velvet Blazers (retrieved from the donate pile more than once), and now the velvet floral Topshop booties (still need to evaluate comfort — I wonder if they could be stretched ever so slightly in the toe box). I could maybe see adding a current velvet piece. I like the mildly reconstructed denim styles — too too overdone. I’m thinking of picking out the hem of an old pair of skinnies that are probably entering their last wearing season before going into the ranch capsule. And I have a denim skirt and two pairs of cropped jeans with that kind of detail, so I’ve got that covered. I’m a little sorry to see sporty luxe wane. It’s weird, because I don’t have an athletic build, but I like a bit of that vibe on my body — there is something about it that makes me feel good. I’ll continue to wear touches of it (sharp sneakers, tops with “athletic” style, etc.). I am ambivalent about cropped pants. My husband is not a big fan, but I think if I wear *really cool* shoes or boots with them, it helps. I also think they are JFE at best on me — thick legs just aren’t terribly flattered by the style. I have to style them carefully, so I doubt they will ever be an easy FFBO choice for me unless I lose a bunch of weight again. I like the idea of waist definition, but it seems like a big pendulum swing from roomy waist-hiding tops to cinched, high waistlines, and my preference is actually somewhere in the middle (especially these days with my waistline not quite what it used to be). It will be interesting to see how this plays out at retail. Bring on the sharp shoulders, plaid, and shearling! Ugh, third paragraph first line should read “NOT too overdone.” Autocorrect fail. So appreciate your analysis Angie. It’s a lot to take in, and your summary helps me focus my fall wardrobe purchases. I’m always on the look out for a new coat and a plaid one would be perfect. I’m always interested in reading your reports Angie. Right now I am definitely feeling pink, cropped lengths and am interested in square toes as I have a few in my closet. I have a tried and true velvet blazer, and will keep an eye out for more velvet. The maximalist vibe has definitely affected me too – not sure where I am going to end up with that one. I love the 1970’s, the cropped pants and the round square toes. I too loved the pretty JCrew photos, especially all together like that. I hope the maximalism trend leads to more interesting scarves and accessories at regular retail stores. Great summary! I love reading about trends even if I don’t always follow them. Crew looks like a breath of fresh air–playful and fun. Am looking forward to seeing how Fabbers incorporate these trends into their every day style! Thanks, Angie! I’m exited for the new season. Thank you for your rundown, Angie. I’ll have to do some thinking about which trends will really work for me. Right now, I’m feeling easily distracted by all the shiny new things. I always love the trends post! This year, I am waiting a bit to get a sense of how my new work situation will change my needs, but I also have a goal to go deeper into my own signature style, which includes color, texture, and retro elements. What do I want to jump on from this list! Texture and richly printed fabics! Pink(raspberry, particularly)! Footwear! I too wanted to thank you for all your hard work distilling the upcoming season. I’ve been reading editorials over the past couple of weeks and none were as detailed or comprehensive as yours. I did note that athleisure might have reached its peak. I mourn this because I embraced it so fully. And a note to Suz. You can continue to wear your Ecco sneakers for as long as you want. I certainly intend to wear my Nikes until they fall apart. They are easy, comfortable, and fill a hole. It looks like there is plenty for everyone to love and hate. Plaid coats and military ink blue sound great. Extended sleeves and socks with sandals? No thanks. I look forward to seeing fabbers put all of the trends into outfits. Oh my gosh! I love this all so much! I would wear any of the above outfits and be very happy indeed! I especially love top row, third from left, and bottom row, second from left. I think it’s gonna be a fun fall!! Great report, and lots to digest here. I’ve been more than a little worried since reading something from either BoF or WWW that said – and I paraphrase- the skinny jeans with a voluminous top look is over and tired. Higher waisted wider pants/jeans with a more fitted and even cropped top is the new direction. This leaves me a bit freaked out -but I get it and understand it. I really feel a sea-change in fashion for the first time in several years. There are a ton of things on your list that I like and will try to incorporate , and I agree that the atheleisure look for daytime/work wear has reached its peak. I still love that look though but will keep it for weekends. Really fun to see this summary – even if I’m not into maximal for myself, it is great to see it in action on others and maybe it will tempt me to try something different. Loving some of the vivid colors coming in for fall. Thank you, Angie I know a lot of work went into this! My maximal self is delighted… Will come back and read more thoroughly after homeschooling…. I’m excited about the return of maximalism. Even though I might not wear all the styles myself, it’s always fun to look at and there is a lot to take inpsiration from. Personally, I am glad that minimalism and athleisure seem to be taking a back seat, as neither of those trends really did anything for me. (Although I was just in NYC for labor day weekend and it seemed like everyone was wearing white sneakers with everything… so I think the sneakers trend is still pretty hot on the street if not the runway.) I’ll also continue to wear my skinnies as that’s really the most practical jeans silhouette for winter here. Out of this list, I’m excited about maximalism, Renaissance, gothic romance, sharp shoulders, military ink blue, plaid coats, and extended sleeves. I’ll be avoiding the puffer coats, socks with sandals, and faux fur…. What a fantastic write up. Thank you, Angie! Love these images – fun color! Texture, and pattern. I like how J Crew took items you might already have in your wardrobe and might have already combined (like the striped shirt and animal print shoes) and added one or two more unexpected items with it. Makes the trend more accessible. I am pleased to to know there may be a few items in the shops this fall that will be calling my name. Your seasonal trend reports are some of my favourite posts, so, yay! The only things here that I absolutely will not try are the extended sleeves (enough trouble getting long sleeves to not overwhelm my short arms) and socks with sandals. I’m a little alarmed by the focus on waist definition, since I decidedly don’t have any waist worth speaking of. As to the rest of it? Bring it on…I’ll try anything once. To add: what I love most about the J Crew images is the colour! Although I’m not buying much , if anything, this fall, I am loving the sophistication of colours and pattern mixing we are seeing. Pink is taking on a new meaning indeed! I haven’t had much enthusiasm for fall/winter styling and have been ignoring the whole issue especially with 100 degree weather that will be around for at least 6 more weeks, but this report has awakened me. These are trends that sound like fun. As a wildcard lover, this will be an exciting season for me. I can hack the rest of my skinnies, find cool shoes to go with them, and update my toppers. Having a short waist will be a problem with waist definition, and not much liking pink or balloon sleeves, but I can see lots of things I’d love to try. This trend makes me a little nervous! I may have to sit it out quietly. I’m actually liking all of these except one. I will never adjust to liking sandals with socks lol. Queen Sneaker is not pleased with sporty luxe taking a back seat. Thank you for the run-down, Angie. When I look at the fashion shows, I am overwhelmed. I admire and appreciate your ability to distill trends from them and to share your insights with us. What a great summary! You have such a knack for taking a ton of information and distilling it down to the essence, in a way that makes it easy to understand and visualize. I need to think about some of these. At first blush (no pun intended!) there are a few that I immediately think ‘not for me’ and some that do appeal to me. I am thrilled to hear that sporty luxe/athleisure looks are taking a back seat. It’s a style that just doesn’t appeal to me. Thanks for this overview, Angie. Your distillations of the direction in which fashion is moving really help me see my closet and my style in a new light. As others have noted, hectic maximalism isn’t a universal style favourite, and, since I’m in that group, I’ll be giving this particular direction a nod and a wink instead of wholehearted embrace. Nothing too over-the-top for this senior, but just different enough to be a bit unexpected in the circles in which I travel. Your influence is why my new trouser suit has a tailored, sharp-shouldered jacket and cropped pants–and is in ink blue instead of my usual black. Fashion IS fun, isn’t it! Angie, thank you so much for your brilliant analysis! Maximalism (maybe maximalism lite), waist definition, Renaissance, Gothic, and 70s glam all speak to me. Thank you for the great summary! There are several trends I like (pink, waist definition, plaid coats, and mary janes) and some that I wouldn’t be seen dead in (ahem, socks with sandals). I’m especially interested in seeing how the waist definition plays out both in my wardrobe and in everyone else’s. Fun to hear your reactions, ladies. YES. Putting together these reports is a lot of work, and it’s exhausting extrapolating the trends and making sense of what’s going on. I have to absorb a ton on info, and think about how things are changing, what designers are trying to say, and which trendd will be interpreted at retail and HOW. But it's part of my job, I’ve had a lot of practice 25 years down the line, and I enjoy it. Jen, I have the magpie gene too. High five, sweet lady. Sigrid, saying goodbye to Minimalism is HUGE. So is waist definition, wider pants with higher waists, shorter tops, and the absence of Athleisure on the catwalks. Dress codes and silhouettes are changing. It might take a while to filter through to retail though. Style Fan, we have to grab those tailored fits when we see them. Go Team Shoulder Pads. Maximalism, Pink, Military Navy, Sensational ‘70s, Mary Janes, Waist Definition, Cropped Pants (it’s almost all I wear), Round Square Toes & Sharp Shoulders. Tanya, fun that we liked the same shows, and why am I not surprised! I don’t mind one bit that Athleisure is taking a backseat on the catwalks, but there will be NO STOPPING IT at retail. I am very excited to see your Gothic Romance leg of this leg of your style journey. And YES. Keep your skinnies for snow and tall boots. Great strategy, Staysfit. I love your wrap sweaters. Ele Cee, I bet you are, and I hope to see pics of what you wear on the forum. Eliza, I am ALL for feet speaking up and being heard. Diane, I see fun sewing ‘80s New Romantic projects on the horizon. There you go, Janet. Lots to like. You wear cropped jeans all the time actually – by rolling the hems. And your upscale joggers are all cropped too. Shevia, you can’t help but catch a bit of the Maximalism bug after being drowned in Minimalism for five years. It feels FRESH. High five. Colette, I love your enthusiasm and fun way of thinking about these trends. Sounds like a plan Beth Ann, Kellygirl, Jenn and Smittie. Mary, you are back to embracing Maximalism with the best of them. Fun! Lisap, you are dead right about which silhouettes look fresh and are more trendy. Glad you’re excited. I’m quite impressed with J.Crew though, and think they do a great job for a certain body type. Olen, to my eye, you cannot look stylish without a certain amount of fashion in your outfit. But you don’t need to be super trendy, avant-garde or fashion forward to be stylish. Not at all. You DO need an injection of current and modern though, and the size of that injection can vary greatly between people. Diana, I am SO with you. Very happy to see the back of Athleisure and Minimalism. Retail will not give it up though, and neither will street fashion. Good to have you back, bonnie. Xtabay, with a good cuppa and slice of cake – while wearing your animal print coat. Firecracker, don’t worry. I love the way you wear your sneaks, and rock on. Gaylene, your comment made my day. THAT is the spirit. Well done. Thanks, Angie! I always like your reports. I’m a little ambivalent toward many of the trends this season. I do want to finally get on board with pink and I just bought an extended, bell sleeved blouse. I feel like what’s being shown on the runways is more different than the translation to real life than it has been in years. For example, I love mixing prints, but for the most part, it needs to have some balance and unity. *Throwing up both hands* to you cuz the shared magpie gene gets an ‘all in’ high 10, from me! Wow! I love the Rachel Comey models. They’re real women, there may even be a pregnant woman tucked in one of the photos. I find it so much easier to imagine how the clothes might appear on moi. I realize the fantasy aspect disappears, but that’s OK with me. Angie, thank you for being so generous with your time and expertise in sharing this roundup with us. I LOVE the Jcrew looks. Something about their take on Maximalism is very appealing to me — there seems to be a shadow minimal aesthetic also at work here, because in some of these looks, there are clean lines underpinning the OOT layering of textures and colors (I love JCrew most when they veer clear of ruffles). I echo Lisap’s love of JCrew’s color but also Angie’s praise of their goods. I’ve had a lot of success with JCrew. No surprise there. I am going to try to dip my toe into more maximal looks this fall although it’s not my natural habitat, and I’m looking forward to that. And, of course, cropped pants. I’m also looking forward to plaid, pink, 70s and suiting, with the biggest stretch into some gothic romance. It’s going to get very fun. I like Suz’s point about the sleek hair; I’d noticed that, too, and think it’s an important element in making this maximal stuff look modern. Funny, because I’ve been putting off getting a haircut, aiming to wear my hair pulled back again for the first time in years–it just feels right. Rich fabrics, and more saturated colors (for me, that means the deeper pastels) are suddenly appealing, too. As for all the pinks, I will be stocking up! Yes, Angie, hectic is the PERFECT word. Thank you for your amazing analysis. I would be paralyzed with so much visual input! I agree with the Fabbers: the JCrew looks are fresh and fun. I am ready to try this. It sounds like this season may be summarized with ANYTHING GOES! I have noticed that my small renaissance/gothic/maximalist/romantic capsule (small enough that I just lump all those together) has been comping out to play more often and that I have begun to feel more comfortable wearing it all together rather than restricting it to one piece as I have in the past. I went though a big pink stage about 10 years ago and I’m still not that keen on letting it back in, although I have had a little blush/peach/”millennial pink” thing going for a while. I guess I will find more items for that now. Thanks for your fab roundup! The opening of fall’s trend gate has long been one of my favorite fashion moments! Thank you Angie. Every season, but especially fall, I check forecasts and love to see how well my closet can already provide. Looks like this year I’m in fairly good shape for the trends I like! Some I’ll ignore: no adding to my shoulders; no suiting; no fancy puffers beyond the short purple one I already have, blue military coats are too classic for my taste. But just about all the others I can cover already should I want to. Well, extended sleeves I wouldn’t particularly pursue, but as other petites have noted, we often get that built in automatically. Unusually for me, I have actually added a few pink items over the past year. Some items cover more than one trend, like a pair of 70s-influ, maximal (patterned) platform mary janes. Already have velvet items, a plaid coat, a faux shearling piece, a vintage faux fur coat from the 70s, and many “gothable” things (goth has been an element of my style since before it actually got defined). And so on. Many relevant items have been in my collection for years. Pulling from my closet is going to be so much fun! A few other trends I’ve noticed that I plan to play with: gold shoes (have no gold boots but I’d include those in the trend), patterned boots, and 60s Mod influence. Yay! Thanks for all the info, Angie! I’m particularly excited about the renaissance and gothic romance elements. It may take a while to trickle down to my neck of the woods, but I’ll be looking out for a pretty, romantic blouse in deep tones. Sounds like just the thing to refresh my fall wardrobe! Well, these photos woke me up this morning! The colors, the volume, the textures are having a party and we’re all invited!! I think I can attend with some degree of style with a few of these looks. Faux Fur Toppers: I have a teal faux fur vest that I’d actually like to wear more often than I have. Pink: My somewhat bright pink J. Crew blouse can be paired this winter with a few sweaters and blazers. Waist definition: Yes, I like this look with skirts and dresses. Cropped Pants: I’m trying some cropped culottes for the first time. This is new territory for me, and I’m feeling adventurous. Extended Sleeves: I just bought a cashmere sweater with longish sleeves and I like the look. Renaissance: This is an impractical look for me and too maximal, however, I love the new Ralph Lauren ads showing this and I find them quite beautiful. I only have two velvet pieces: a black velvet J. Crew blazer and a pair of black velvet wide-leg slit pants with embroidered hems. I’m excited to see your maximal looks, Angie, as well as those of YLFers! And kerlyn’s mention of pretty, romantic blouse sounds wonderful. I’d like one too if it’s dark and a bit edgy. That’s the diffrence between style and fashion. One day it’s in the next day your out. haha Heidi. That’s why they have soooo many Goodwill Stores. UGH! I’m so conflicted about defined waists. I love the look. As one of the waistless, though, it is so tough for me. I’m going to cross my fingers that there is a future post on how to adapt trends you love that don’t naturally work for your body type, like defined waists for me. I’m good with most of this and my velvet additions and square toes are apparently on trend! Will not be on board with waist definition (as I have none) or balloon sleeves. Thanks for doing our research for us, Angie! Sounds good to me! I was never an athleisure fan for whatever reason. . .Glad waists are coming back as I bought two wide belts in the past year and don’t have much that they will work with. Maximal and socks with sandals should work for me since I am so temperature sensitive; piling on the layers will be perfect! Sharp shoulders are a close second for me just after rounded football shoulders. I love how they make me look taller with a smaller waist! Who knows how long it will take for these looks to filter down to Petites, though. I hope that Topshop’s Petites have at least some. Kudos to you Angie, for synthesizing this huge amount of information and presenting it concisely! That’s NOT easy! I’m looking forward to maximalism, dreading high waists and will be embracing pink. Feels like fashion is changing quite a bit for the first time in a while. Isn’t style supposed to reflect the economy, so minimalism = economic slowdown and maximalism = economic boom? Let’s hope so! I love all the colors in the Gucci, but the darkly romantic looks in Sacai and Marc Jacobs are also quite appealing. I can get behind most of the trends other than waist definition (since I don’t really have one and waist defined garments never fit). I can see myself embracing some of these trends and incorporating them into my existing looks. I already have cropped pants, extended sleeves, mary janes and a plaid coat! I am pretty sure I will be avoiding faux fur jackets, gothic romance and renaissance looks…I will enjoy seeing others in them though. I look forward to a bit more maximalism and hopefully colour variety as well. Thank you for all the hard work in summarizing all for us. I like to read your list of trends because I always find new ways to look at my existing clothes. I enjoyed this up-date Angie, and always keep in mind your trend reports! Some of these trends are really appealing, and even though we’re going into Spring Summer here, I would like to try to interpret some for warmer weather. Thank you Angie for such a great summary! Lots to like here. I am excited! Thanks for the report. Thanks for breaking this down for us Angie. I love the colors and texture of these looks a welcome change from black and other somber tones. I also love that definition and tailoring are coming back and oversized drapey looks are taking a back seat. Tailored looks fit and flatter my petite shape and I own a few pieces I can style to be on trend – high waisted crop pants, a fit and flare cocktail dress and wide legged pants. Glad to see the 70’s looks are still current. I honestly think this might just be my favorite season of trends as there are so many I can see myself loving.. I think so many times I feel like they are not me at all ,but not this time around. Maximalism, Cropped Pants, Pink Waist definition, Renaissance, Gotthic Romance, Sensational 70’s , Faux Fur Toppers, Reconstructed Denim, and Roomy fits are all things I think I can easily embrace with things I have in my wardrobe already, some things added for the season. Once more you did all legwork for us, Angie. I need to spend more time perusing all of those and to see which of them I would like to update my wardrobe with. So many of these trends are just so FUN! Pink, Renaissance, Gothic, maximal…there are so many options. I’ve already been embracing seventies and am looking forward to more! I’m also excited about more tailored fits. Thanks for this awesome rundown! There are a number of things I am excited about here. Mary Janes are a signature style for me (I even have a sporty pair I walk the dog in) and so I wear them whether they are in vogue or not. It will be nice to see more options in the stores! I have a faux fur vest that I received as a gift last Christmas and haven’t yet figured out how to wear, though it appeals to me. In fact, I got it out over the weekend to ponder. Here’s the incentive to get it figured out! My closet also has some rounded square toed boots, a smattering of 70s-influenced items, and a lovely navy peacoat. Fit-and-flare is probably my most flattering silhouette, so yay for that as well! Maximalism and dark romance sound very appealing, but I’m thinking I will have to learn from others how to master these and/or make them my own. Definitely looking forward to seeing them on others, whether or not I get them figured out for myself! And I hope to get my husband on board with the cropped pants, as I love them (but I also like my husband to like what I wear). Believe it or not, knowing something is current fashion-wise can sometimes soften his views so I will be sure to show him this list. There are some others that I am unsure about (long cuffs seem fussy and annoying) or don’t make sense for my climate (puffers) but it will be fun to see them on others. I lost a long post this morning,so will try again with a more abbreviated version. Fist, thank you so much, Angie, for all your hard work and time on this trend report. I always look forward to them and keep them in mind when shopping or doing a closet edit. Probably Not a Trends are Sandals with Socks, and Gothic Romance. Maybe Trends are Cropped pants for cool/cold weather, Pink ( if it is a warm tone), and all the rest of your list. It will be fun to see what retail does with these trends. Thanks Angie, for all the time you spent pulling this together for us. It is much appreciated. I have some pink in my wardrobe for the first time in many years. I actually think it and navy are the two newer colors in my wardrobe since my hair went gray. I’ll look to add more. Velvet-yes. Lace-yes. Bought my first item in years. Brocade-I love the look, but probably not, unless I find a lighter weight version. I was too warm in it. Slightly longer sleeves-yes. Although then my bangles won’t show. Plaid coat-There’s one that I’ve been liking, but I need a coat that will go with all my prints. And I don’t think plaid is the most flattering on me. Rounded toed mary janes. I have a pair I wear often with pants. My puffy is new to me, but not high fashion. But I like knowing that I can wear it with nicer clothing. Socks with sandals-NO! But, who knows, maybe just when it’s about to go out of style my eye will have adjusted to it. I am often slow to adapt to trends, although having into. from Angie accelerates the process, since I learn about them sooner. Wow, I hit enter by mistake. Defined waist-that would have worked before kids. My after body combined with my short waist makes it a no go. MAXIMALISM – no. Too much and extra layers is too hot for me. CROPPED PANTS – Not sure about it for winter. I know I can fill the gap, but it also depends on what my new pair of booties looks like. SHARP SHOULDERS-No. But see socks and sandals. Actually, I would imagine this before that. Probably not in a coat this year. But yes on the color. TROUSER SUITING-maybe a cardigan version. Suit type jackets don’t fit without major alterations, and I love the comfort and look of a cardigan with a tailored pant. I like to raise my arms without restrictions. SHEARLING OUTERWEAR – ? I think it is too warm and too much bulk for me. I think I donated the one I was given, but I’m going to check my garage closet. FAUX FUR TOPPERS-Prob. not. Maybe in my home. BALLOON SLEEVES – will it hide the extra or emphasize it? ROOMY FITS ? I think I will stay with the non-oversized no-body con fit. I’m so glad to see a big silhouette shake-up happening. I *love* structured wide legs with tailored or fitted tops. I never really did get used to the voluminous-top-over-skinnies approach. As an hourglass-y person who has good hips and shoulders to show off, big drapey tops too often make me feel as if I’m trying to hide something (the “are you expecting?” phenomenon). The variety of wide legs and culottes that is starting to proliferate, not to mention cropped and hip-length toppers to wear with them, is very good news for the way I like to dress. I still have to get the shoe/bootie thing sorted. I’m not excited about the white sneaks trend, which is how I see most people wearing these new pants silhouettes in my part of the world. My child-of-the-90s self is very excited to see Mary Janes make a comeback, though I probably won’t get much wear out of mine ’til next spring, unless the autumn is exceptionally mild. Also, menswear-inspired suiting/trousers and plaid are music to my ears. I doubt I’ll be able to pull off socks with sandals in my environment — too many folks wear that combo un-ironically on a daily basis. I’m sure I’ll see the undergrads doing it now, though! Hmmm. There are more here that I don’t think I’ll try than I will, but there are a few that tug at me (Military blue, plaid coats and faux fur). I never thought of the J Crew look as maximal, I always thought J Crew piles it on (2 shirts, jacket, overcoat, jewelry) to get you to buy more pieces. thanks so much for this recap of the Fall 16 Runway trends…..this is one of those years where i wonder A) which of these trends will actually translate to everyday retail, B)which of these trends will actually make it to the street, C) which will be with us for more than 1 season….. Thanks for a great report that has the gift to us of a lot of time and labor (of love, to be sure) in it. Some of these trends I welcome, such as maximalism, defined waist, roomier fit, and the shoes. Some I will pass, like socks and sandals. Though you hint that skirts and dresses are still with us, the trends seem to mostly ignore, if not eschew, them. Your #12 trend seems to confirm this, at least in suiting. None of models in your eight photos wears a skirt, though the longer coats do provide a skirted silhouette of sorts. Are skirts and dresses likely to become increasingly rare, as this seems to indicate? Or is it merely because the shows are addressing the colder season of the year? Many fab trends spotted out here, Angie- thank you! My fave of all is the crop pants trend. I have worn them all my life-and will continue to wear as find them casually chic and think that, for a bigger frame, exposing some bare ankles is much more easy (and flattering) than showing any other bareness of one’s bod. The same effect can be be achieved rolled hems worn over slim and taller boots in winter. Sharper shoulder lines will help to straighten mines for a better posture look, so I’m happy they are back! Then, I will always love maximal looks which are all about layering and texture but having a severe monochromatic or tonal integrity. And, I’ve just bought a blush jacket, so guess I can say am on trend with pinks as well:-). I’ve never thought athleisure was good fashion — it’s just comfortable — so I”m glad to see designers stop trying to palm it off as fashion. The sneakers as outfit shoes can go by the wayside too. I also like the return of wide-legged pants. They are comfortable and versatile if you can find a good pair in the right fabric. The way the models are wearing these coats is very 50s-ish to my eye: prim, proper, and dressed-up, even if the clothes underneath are a little whacky. And they are all wearing their hair back, like Tippi Hedrin. Sounds like the season of not quite my taste, but I’ll enjoy watching others play with some of these trends while I work on adjusting them to my own needs. I can definitely get behind the cropped pants trend (especially because I live in Georgia, where the cooler months are mostly mild), and when you said “pink with yellow,” I wondered if I could pair the mustard yellow pants I just bought with something pink–I’ll have to experiment. The pants are a total wildcard because they are NOT my color, but they were a perfect fit, the fabric was super soft, and they were a fantastic deal. I consider myself a minimalist overall, but I’m thinking I’m somewhere “minimalist of center.” I enjoy more maximal pieces as long as they’re used to make a statement alongside simpler pieces. I’ll definitely be playing with that idea this fall. Thank you for your summary. I am noticing — overly long sleeves, cropped pants, culotte shaped pants, round square toes, high waisted pants/skirts/jeans, baroque, pink, browns, unusual color combinations, maximal everything. Not that these are necessarily all things I’m buying into. There’s another look which is hectically pieced knitwear with twists and turns and asymmetry. I also see something of everything when I look at the runway shows and it makes me think, throw everything against the wall and see what sticks. I think that adage came from the music business? It’s like, everyone knows a big silhouette change is coming, but it’s not quite there yet so let’s just put everything on the table. I for one like the minimalism of past years, it seems to be an elegant way that not-so-young women like me can be on trend. Maximalism will take more skill. I don’t want to look like Iris Apfel. Neither do I want to look like the young Milan street style stars with patched jackets, 100 colors and socks with sandals. Love some of these. Will continue to rock my fuchsia lipstick which looks surprisingly flattering on this freckled redhead. Maximalist and gothic fabrics, like embroidery and velvet strike my fancy but only when paired with more pared-down silhouettes. For a long-waisted Pretty Pear, high-waisted pants and wide belts are heaven sent. However, I will be appreciating longer-than-long and bell sleeves from the sidelines. I love this analysis! I see a lot of these trends sprouting from the 70’s retro trend; the velvet, balloon sleeves, suits, wild prints, platforms, block heels, neckerchiefs, fur, lace, plaid, mary janes. It all seems very 70’s to me. And I agree with others that the maximal feels fresh as long as there is a big dash of tailoring included to polish it up. Though it is a LOT, I think this is so much of MY season! I love the mentioned Waist definition, Gothic Romance, Renaissance, Sharp Shoulders, Mary Janes, Military style (though I’ll skip the blue), Platform boots with round toes and Faux Fur Toppers. It really caters the dramatic, ladylike and feminine side of me! I will have trouble with the shorter trousers… Not something I find flattering. I hope I can avoid them withut looking outdated. The shocking pink suit really appeals to me. Even though I have a fairly defined aesthetic (and extremely limited closet space to travel outside my comfort zone), I do enjoy looking at the runway trends and all of the ways to interpret them. Thanks for this, it was a fun read. Maybe when we build a house with a real closet, I can start incorporating some of the trends into my closet; until then, I will have to be content living vicariously through this type of post. Pink and waist definition. I’m there!! I love most of this. I’m facing a big style shift right now. I only wear 1 piece. Either a statememt bag, necklace, headwrap or earing but not all together. Im doing the same with my home. Pairing down becoming more minimal. It is an odd feeling because my last style shift was 15 years ago. That was a 2 year oddsey of a fun jouney. To be honest im feeling a bit lost. In my home ive paired way down. The same with my clothing. I’ve this week off and have been nesting. I have 4 large bags of. Clothing and house hold items that are being donated. My jewelry collection is huge and curated. I am hesitant to go through it. I dont know where to start. The only things I’m hanging on to are my hats and my headwraps. So if you can give me any advise it would be appreciated. Ledonna, two things: what is causing the shift – the birth of the baby perhaps? And don’t pass on your jewellery. Pack it up first, and leave it in a holding zone. Keep a few pieces out to decorate your home with. I have a feeling that you will miss those pieces later.